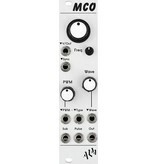 The ‘MCO’ is a compact digital oscillator. 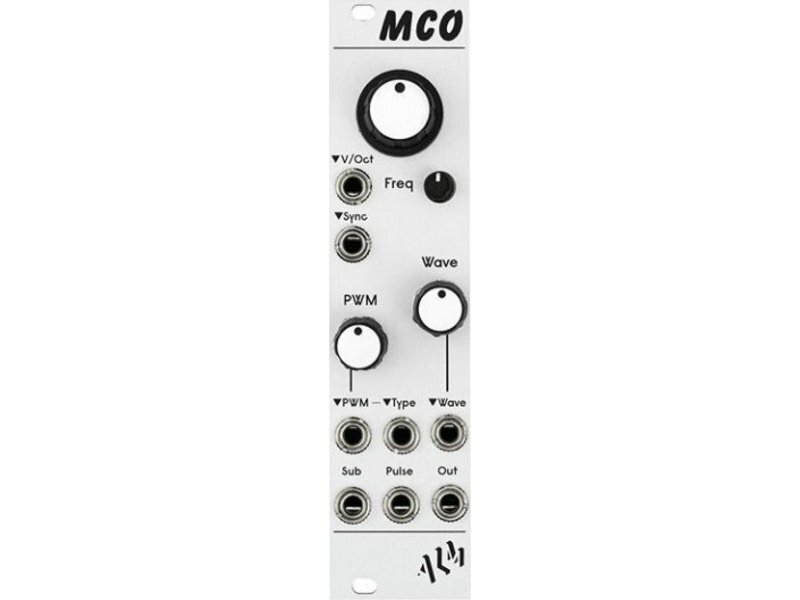 It features a main ‘morphing’ wavetable output, an additional copy of this output with overlaid variable pulse width segments (ala Alpha Juno style saw, wave, pwm) and a sub square wave output an octave down to the main output. The waveform and pulse segment width and be both directly and voltage controlled. The pulse segment distribution can also be voltage controlled via the ‘type’ input. Expect an early 90s slightly crunchy digital type sound (ala Ensoniq, Kawaii KX synths) rather than something striving for perfect analog emulation. • 3 Outputs; wavetable, PWM’d wavetable & sub. • Voltage control of frequency, wave-shape, pulse width and distribution.